I had a week off on annual leave from work and nothing planned in terms of holidays (loads banked and not taken, plus Aaron and I are saving all our pennies for our honeymoon next year – we’re thinking Bali!) so I thought it would be a good opportunity to filter through my wardrobe to find some pieces I might have forgotten about. The first thing I wanted to talk about is this gorgeous blazer which inspired the entire post today. I can’t remember where this came from (possibly a steal from eBay or a hand-me-down?!) but it’s so on trend right now and I was so happy to find it! 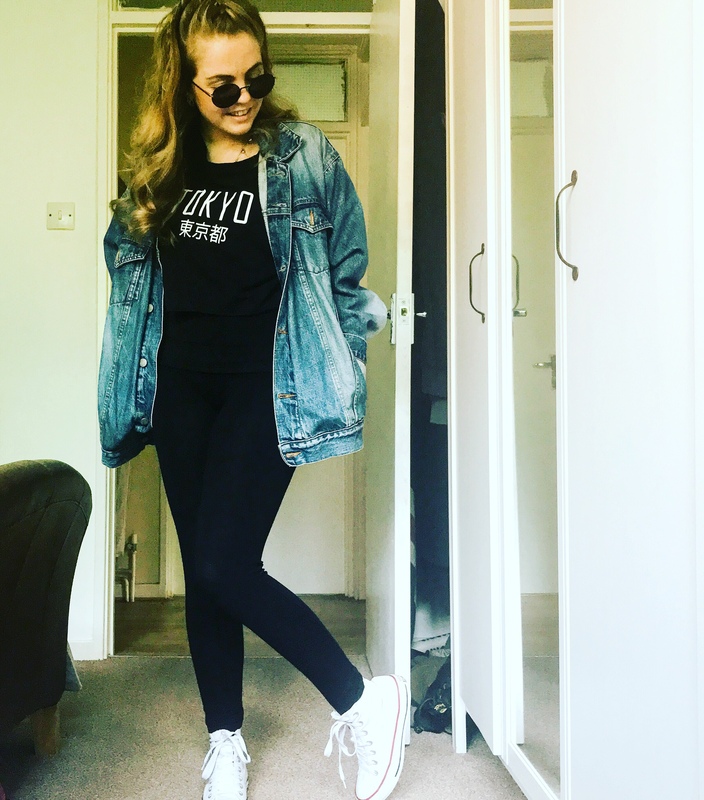 It’s a fine check and the label tells me it’s from Topshop – this looked amazing with a plain white tee, skinny jeans and my staple DM’s – not gunna lie, I felt sassy AF rocking this outfit! So, there’s an actual purpose to this post and I’m going to get to it now. 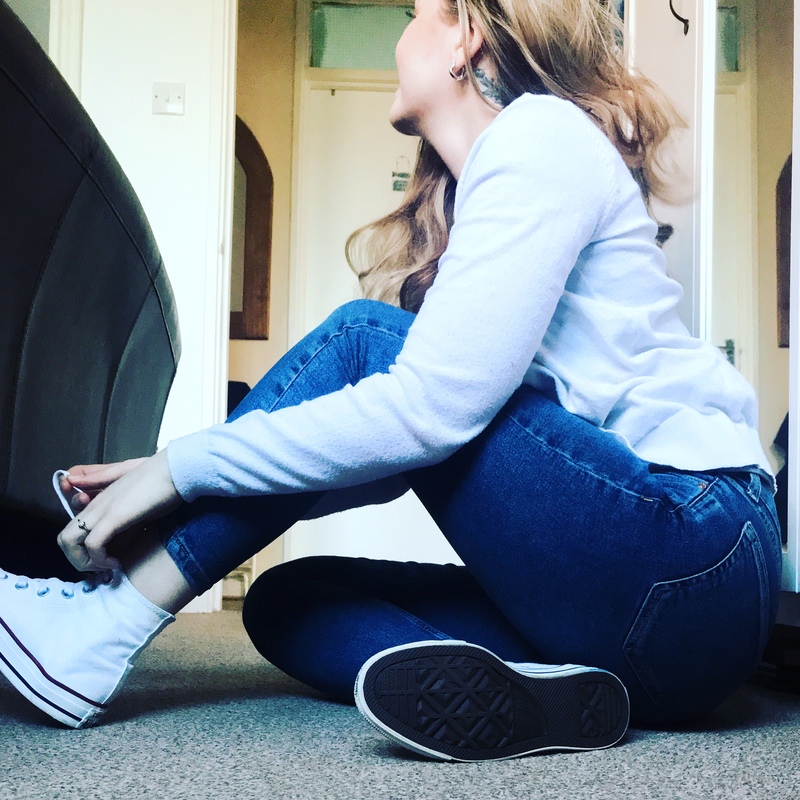 As I’m saving all of my extra pennies, I wanted to revamp some of the clothes that I have in my wardrobe, rather than just buying new ones and will be sharing some how to/how I did posts and videos to give you all some money saving tips! 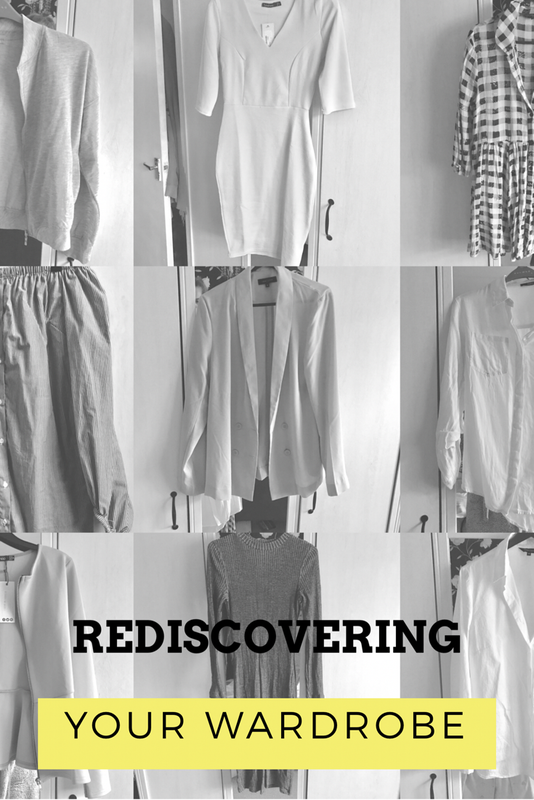 What I’m doing for today’s post is showing you the wardrobe pieces I will be reworking in future posts and how I’m planning on achieving this – so without further ado, here we go! I’m going to change up the buttons on this one to give it a more polished and expensive look – it’s mad how much this can change a plain old shirt! I’m thinking of changing the sleeves on this dress and maybe adding a lining – not entirely sure, I just know I love it and want to give it some love! I’m not a huge fan of the colour of this so want to try and dye it either burgundy or a mustard yellow – this’ll be a messy one! Red is the colour of the season, so I’m going to change the collar and cuffs of this and sew in some red cotton ones to give a little accent of colour to a plain old shirt. I’ll be totally honest with you, I haven’t worn this but love the shape of it! I’m going to go ahead and do another dye job on this in a classic (and oh so fashionable) black so that the jacket matches the zipper colour. I do really love the colour of this dress, but I’m thinking it’ll look a lot nicer in navy blue, so I’ll be dying it and adding some kind of embroidery around the neckline to give it a bit of something something – ya know? This dress fits like a dream, but the neckline isn’t the most flattering. I’m going to cut out the neckline of this and drop it lower to make it more flattering on me. I really want a mustard coloured blazer, but cannot fathom shelling out more cash on yet another blazer, especially so when I have so many shoved in this old wardrobe! I’m not sure how well it will take, but I haven’t worn this in forever, so we can only find out! What I’d like to get across through this series is that – you don’t need to spank all of your money on clothes when you’ve got a wardrobe of ideas sitting in front of you! If you’d like a standard how to video on using a sewing machine (how to thread it up, what the different stitches are used for, different feet and what they’re used for etc) let me know in the comments below! So let’s save those pennies and make our wardrobes that little bit more money saving savvy – our wallets will thank us in the long run!